Voice Calling feature on Whatsapp is not very old now and it was really a very happy news for its users and now we have brought you another jubilant news for you that the Whatsapp team is working on adding new features to the popular messaging service. 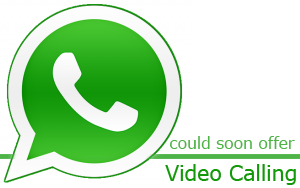 If a report from German website Macerkopf is accurate, video calling may be coming to Whatsapp in a future update. 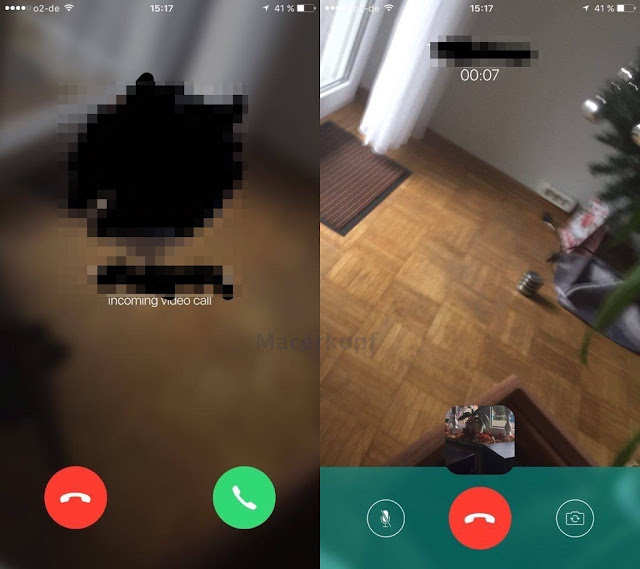 Macerkopf have got two screenshots which are showing a video calling interface. The images are reportedly from a beta version of Whatsapp for iOS. Version 2.12.16.2 is said to be undergoing testing internally, and there’s a good chance that an update bringing video calling will be coming in the next weeks to the public beta versions of Whatsapp for Android and iOS. The screenshots shows a simple interface, with two buttons for muting/unmuting your conversation and for switching between the rear and front camera. There is a also a small window for preview that can be moved around, and that’s it. Besides video calling, the internal beta also features tab conversations – each convo will reportedly live in a tab, similar to how Chrome manages web pages. The addition of video calling comes after Whatsapp introduced voice calling back in spring. 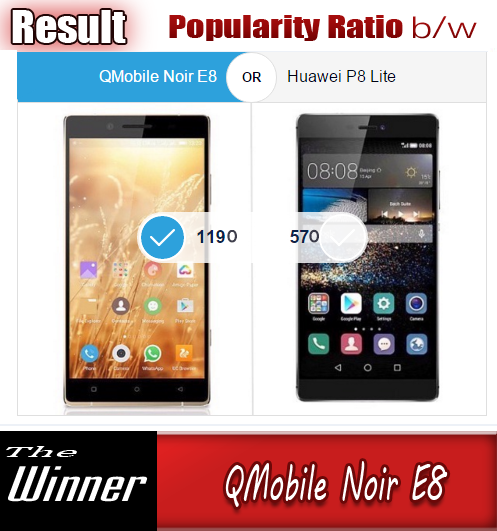 The Facebook-owned company has been trailing competitors in terms of functionality – apps like Skype, Hangouts, and even Facebook’s own Messenger all include voice calling and other advanced features. That said, less is more in some cases, and Whatsapp’s relentless growth since it was acquired by Facebook shows that the folks behind it know what people want. Whatsapp boasted 900 million users in September, and it’s probably going to hit the 1 billion milestone very soon. In some countries, like Brazil, it’s used by more than 90% of the population. As it was the case with the voice calling feature, Whatsapp will probably activate video calling for a small number of users first, to get feedback and avoid server overload. We’ll update if you hear anything new.